The Infinite Spider-Man Index | What Would Spidey Do? The Infinite Spider-Man is a series of mini-essays exploring Marvel’s options for the future of their most popular character. Fair warning: as the character’s romantic life figures into many of these determinations, I spent an absurd amount of time dealing with the issue of whether Spidey should be married. Ideally, you’ll find that this leads to a consideration on other elements of writing and plotting modern superhero comic books. This is currently a work in progress. Consider it the beta version with some impending much needed edits. If you notice many mistakes, bad links, typos, etc, let me know. The series starts with musings on the awesomeness of Spider-Man and why “The Infinite Spider-Man” was chosen as the title for this piece. A few years ago, I came to the conclusion that the Spider-Man books could be better. While considering what could be changed, I pondered two questions about the spider-marriage. Is Spider-Man’s marriage worth discussing at all? Was it clearly such a significant part of the series that it wasn’t worth tampering with? Eventually, I came to the conclusion that changing the marriage may have been a good thing. I considered the stories that Marvel can only tell if Spider-Man is married. That was followed by the stories Marvel can only tell if Spider-Man isn’t married. Some of those involve Peter Parker getting romantically involved with new characters. There were some advantages to the spider-marriage. And there were some more advantages to the spider-marriage. There were some more advantages to Peter Parker being single. My first guess for what One More Day would be like was a retcon involving Loki. That led to a consideration of retcons in general. What do fans think of these? When is it useful? This was followed by an analysis of some of the complaints about retcons. The question of whether retcons were too convoluted merited its own entry. As did a look at how “Parallel Lives” changed the backstory of Spider-Man characters. Some readers wanted the controversial storyline “Sins Past” to be retconned. Which led to the question of whether Gwen Stacy’s death should have been reversed. 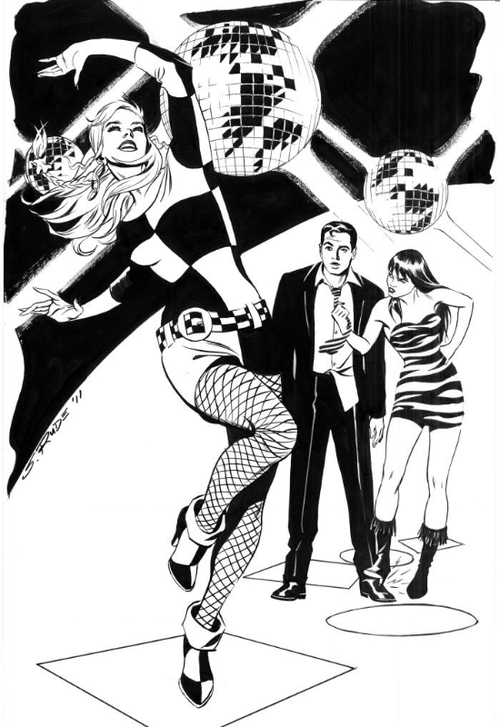 Bringing back Gwen Stacy would have been a consequence of the retcon JMS wanted to do, so his plans were compared to the story that was published. A few fans wanted Baby May’s fate to be retconned. I disagreed with them. While some readers wanted Aunt May to be killed off. I disagreed with them, too. Although I didn’t mind the return of Harry Osborn. At this point, I considered what Joe Quesada accomplished with One More Day. There were a few OMD related questions. Was Mephisto written out of character? Was it in-character for Peter Parker to take the deal? Was the depiction of time travel consistent with other Marvel Comics? Should those changes have been more significant? Did the infamous comment “It’s Magic, We Don’t Have to Explain It” reveal a carelessness about the changes to the franchise? Could writers be scared away from the Spider-Man comics, because of One More Day? Did it matter if One More Day was good? What about the other complaints? Did what followed OMD represent something different from before? I considered the “Commitment to Change” approach, as a contrast to the Illusion of Change. That raised the question of whether Spider-Man could be replaced by a new generation of Marvel heroes. Miles Morales was one potential replacement. I considered how Ben Reilly could be brought back. And whether Spider-Man’s story should be allowed to come to an end. Which leads to the question of what type of ending is most fitting for the character. Death and divorce were considered as alternatives to One More Day. And there was an argument for a particular method of depicting the divorce storyline. It was one of several potential compromises. I considered whether there’s even a point for the creative team to focus on anything other than the action- adventure aspects of the series. And whether the supporting cast members could be given interesting private lives. I considered the argument that the book could be made less like Archie. And less like a soap opera. There was also the suggestion that there could be two titles set in different universes, with different outcomes for the characters. And that readers had other places to get their Spider-Man fix than just the regular series. And that there was no need to distinguish between the “real” Spider-Man and other versions of the character. Or that the only problem was in the quality of writers. Or perhaps the problem is that the writers should have devoted more energy to a supporting character. The Spider-Man books were compared to DC titles. As well as superheroes from outside of the Marvel Universe. One More Day was compared to stories that changed long-lasting DC franchises. Was it like Green Lantern: Rebirth, or Emerald Twilight? Or was it like it like Flashpoint? That mini-series changed Superman in a big way. There were a few questions about the current direction of the book which were worth addressing, starting with whether One More Day made it too obvious to readers what can and can’t happen in a comic book. That led to more questions. How much does the typical reader really know regarding the storytelling decisions in comics? Is there a point when the writers are misleading the fans? Was Joe Quesada too dishonest? Do decisions in the Brand New Day era contradict the rationale for OMD? Why was it okay for Spider-Man to be an Avenger? Do decisions in the Big Time era contradict the rationale for OMD? What’s more important to the series: Youth or Responsibility? What is the conceptual engine of the series? Will Peter Parker be seen as a womanizer or a loser? Did supporting cast members regress? Was it guaranteed to be too controversial? Did fans prefer the marriage? What was the effect on Spider-Man sales? Was it a bad idea to do One More Day after 20 issues of consecutive Spider-Man Events? What would the Spider-Man comics be like without One More Day? How do you explain it to kids? Was it too risky at the time? Is Amazing Spider-Man still set in the 616 Universe? Was Mary Jane pregnant in One More Day? Is there blood on Spider-Man’s hands? Then it was time for an explanation of the Illusion of Change approach. One benefit of it is the way it provides for greater flexibility. However, it doesn’t quite fit a stable status quo. And it requires the waters to be muddied regarding the futures of the characters. There was a similarity between how Brand New Day approached the Illusion of Change, and Grant Morrison’s All-Star Superman. That led me to wonder why there were some great Spider-Man stories featuring an unmarried Peter Parker published between the marriage and One More Day. 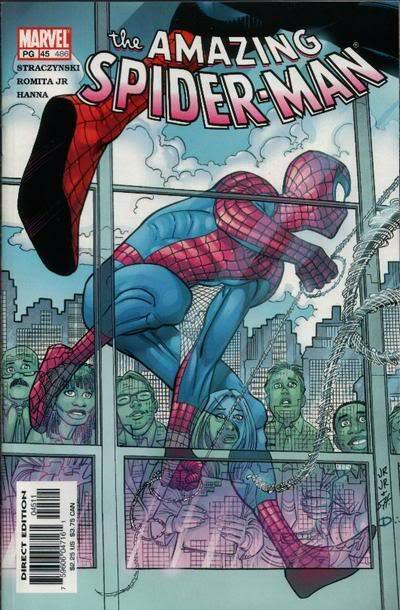 I considered Amazing Spider-Man Annual #21 from the point of view of the characters. I noted why Spider-Man has to be put through hell every now and then. There were problems with Spider-Man having a supermodel wife. And Mary Jane’s character was changed to make her a better fit as Spider-Man’s spouse. The assumption that the marriage mattered led to another question. Why is love so important in fiction? Why did writers hate Spider-Man’s marriage? And that led to the question of whether the Illusion of Change results in cyclical storytelling, and why the journey is more important than the destination. There were a few arguments against the Illusion of Change. A reliance on reader turnover was discussed. JM Dematteis’s decisions were considered within the Illusion of Change context. The recent decision to give Spider-Man a sidekick was considered within this context. Then it was time to consider the potential schedules for the series, starting with the question of whether the current amount of content was necessary. I considered the disadvantages of the old system. I considered the advantages of a weekly/ almost weekly schedule. As well as the disadvantages. The Big Time approach came with subtle differences. I also pondered potential monthly titles and creative teams. I considered one format that would make the editor’s life miserable. As well as the problems with evergreen filler stories. And how Marvel should handle milestones and writing for the trade. I came up with a different system for monthly books. And considered the pros and cons of anthologies. There were a few other decisions for the people in charge of the Spider-Man comics. 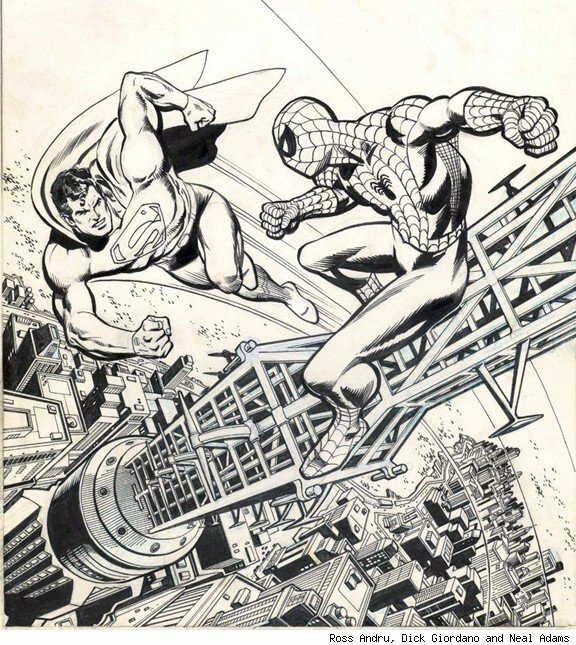 What are the types of Spider-Man artists? Should controversial artists be hired for a mainstream title? What is the top priority of Spider-Man writers? Should Spider-Man live in New York? What is the role of religion and politics in the Spider-Man comics? There are some minor questions which don’t merit a full entry: Organic webbing, his SHIELD agent parents, teetotalism and New York Mets fandom. Does Peter Parker’s profession matter? A history of the supporting cast. A consideration of how to write the supporting cast. Then I looked at the ways Marvel handled the bad guys. Writers have generally had different approaches to the villains. There are many strategies writers can implement involving Spidey’s enemies. There is a problem when the villains keep coming back. Doctor Who offers a compromise. Marvel has an interesting choice with Venom. Venom and Carnage provide a cautionary tale. Marvel’s choices with Doctor Octopus was considered. As were their choices with the Green Goblin. And then there’s Norman Osborn. There are all the villains who are better known for their roles outside of the Spider-Man comics. As well as a few other Spider-Man villains worth mentioning. Should Spider-Man be allowed to kill? What happens when the villains are sympathetic? 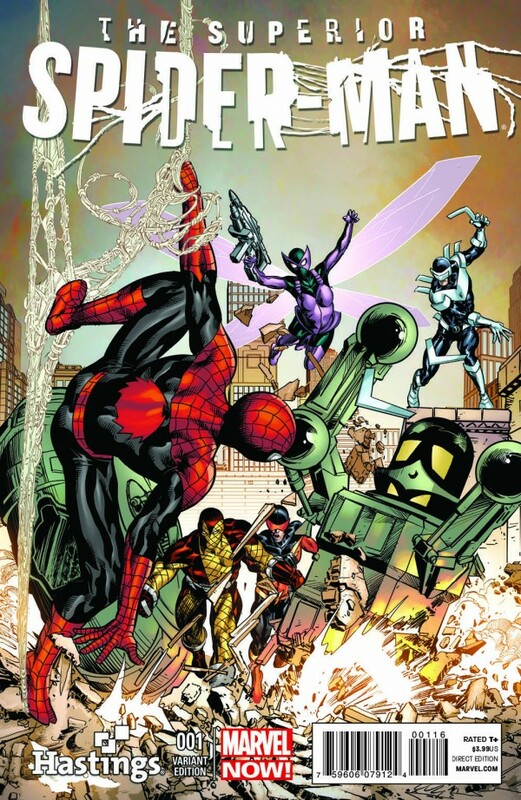 I considered rumors about the then-upcoming Superior Spider-Man relaunch. And the one big unresolved question: Should Peter Parker ever find out about One More Day? How long will Superior Spider-Man last? What comes next for Spider-Man? What comes next for Doctor Octopus? Did Peter Parker deserve better? Is there potential in the Superior Spider-Man era? So what’s it called if Superior Spider-Man and Mary Jane consummated their relationship? That question leads to be considerthe morality of tricking the readers. Is it a good idea to shake up the status quo in a temporary way? What are the implications of the ending of Superior Spider-Man #1? What happens when a major character goes on hiatus? 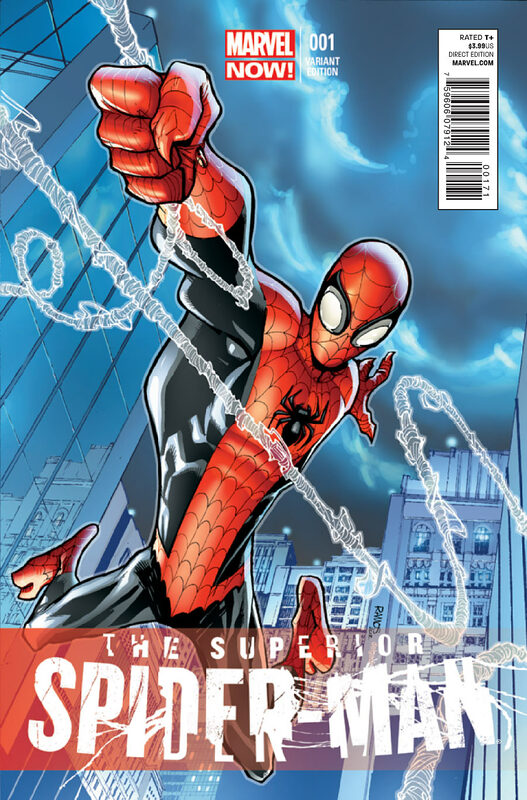 Superior Spider-Man was compared to a cover song. I pondered the eternal struggle of the superhero. 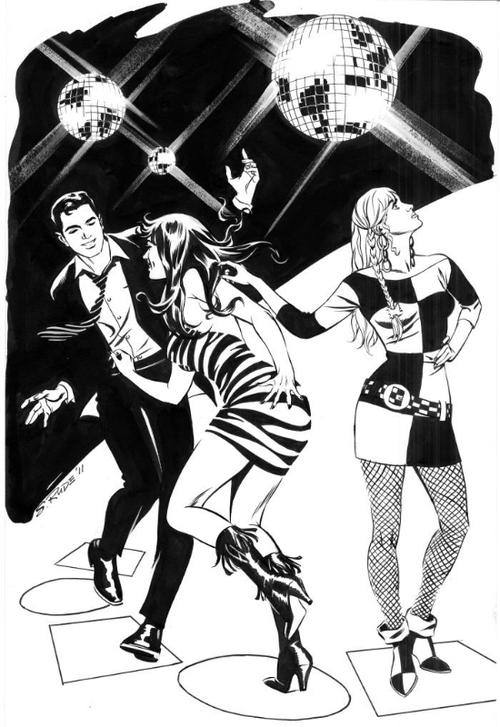 The relationship with Mary Jane was considered in the aftermath of Superior Spider-Man #2. I considered the new Spider-Man’s proactive nature, as well as his ability to relive Peter Parker’s experiences. This index will be updated regularly, as new entries are added.